Da Vinci’s Mona Lisa, David by Michelangelo, Madame Butterfly by Puccini. Italy has produced some of the world’s greatest masterpieces. And, it’s no secret it is the epicenter of the best metalworking on earth. Which is why we sought out the best artisans to ever melt precious metals to create yet another great Italian masterpiece. For over fifty years Pietro Ferrini and Rodolfo Grotti have created unsurpassed artisan jewelry that combines age-old Etruscan metalsmithing techniques with innovative design. Today, we bring their talents to America. The Aria Earrings are their latest masterpiece. And, you can own it for under $80! 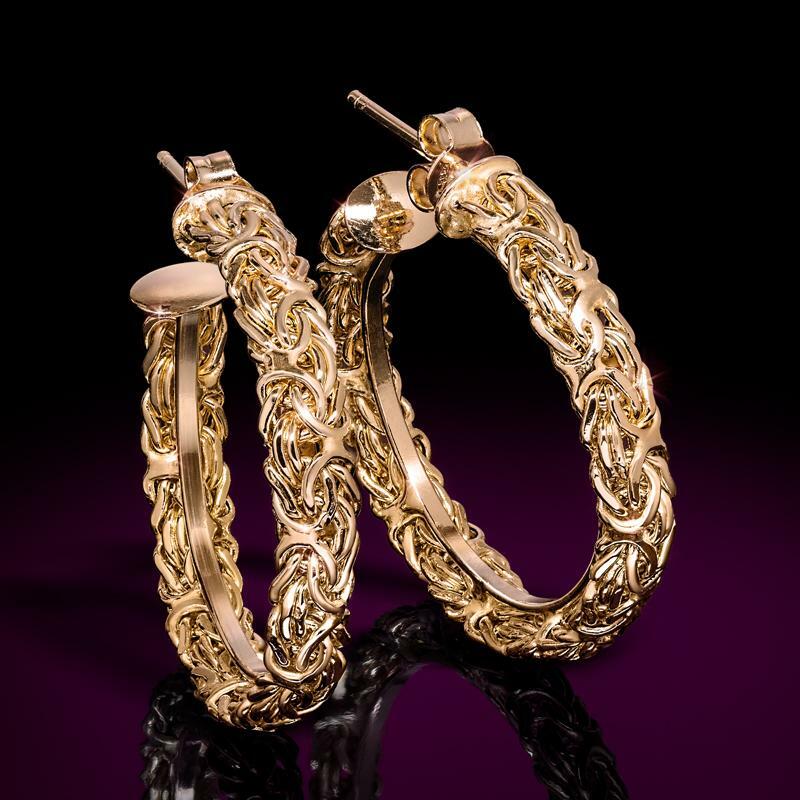 Each earring is meticulously made by hand from .925 sterling silver drenched in 18K Italian yellow gold and celebrates the traditional woven Byzantine design–– an intricate array of woven links that forms a flexible and elegant drape. We also offer the Aria Earring in 14K yellow gold for a price that will make you say “fantastico.” The difference between priceless & overpriced. While shopping for earrings, I spotted similar Byzantine earrings with a big designer name for twice what they should charge. Ridiculous. It wasn’t Italian made. It wasn’t near as nice. High-end design shouldn’t carry a high price just because of a big name designer name up-charge. Masterpiece, not mass produced. Because each earring is handmade in Italy–– taking months to create–– we only have a select number available. Don’t miss this opportunity to own a piece of impeccable Italian-made jewelry for a truly amazing price.